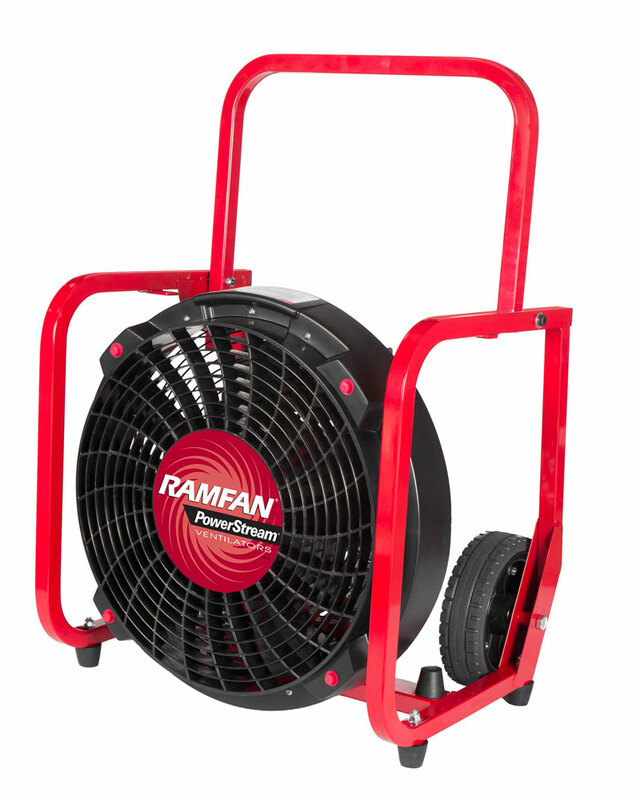 The RAMFAN EX500 Electric Ventilator with 1.5Hp motor and PowerStream® Technology offers superior exhaust ventilation with less equipment clutter and reduced noise. PowerStream air straighteners produce a powerful, focused beam of air allowing the EX500 fan to be set back up to 18 feet from a structure’s entrance without sacrificing PPV performance or obstructing entryways for advancing firefighters. Be sure to ask about our complete line of RAMFAN products available.